Drawdown: Marin Drawdown: Marin is a community-driven campaign to reduce greenhouse gas emissions and prepare for climate change impacts. Learn more about the campaign and how to get involved on the Drawdown: Marin page. Electrify Marin Rebates are available for heat pump space heating and heat pump hot water heater projects. Visit the Electrify Marin page for more information. Green Business Program Information on the Green Business program in Marin County. Bay Area Regional Energy Network (BayREN) Home+ Program Looking to save some energy at home? The BayREN Home+ program provides rebates for home energy efficiency projects, online self-assessments, no-cost energy savings kits, and no-cost technical support from a Home Energy Advisor. Visit BayRENResidential.org to get started. Homeowner Resources Toolkit Download the Marin County Homeowner Resources Kit on our For Realtors Page. The County of Marin Sustainability Team works to support healthy, safe and sustainable communities while preserving Marin’s unique environmental heritage. The team has developed programs to promote renewable energy, address climate change, encourage green building, recognize green businesses and implement energy efficiency projects in County schools, special districts and cities and towns. These policies and programs will ensure that the County of Marin is healthy, vibrant and sustainable for many generations into the future. Rebates, support, home evaluations, energy kits, and more. Rebates, project support, financing, and more. County of Marin Green Building Ordinance, construction & demolition project requirements, and electric vehicle requirements & resources. 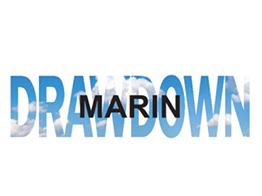 Information on Drawdown: Marin, a community-driven campaign to reduce carbon emissions. Rebates for gas-to-electric appliance changes and service panel upgrades. Information on the Marin County Climate Action Plan. Information on going solar in Marin. 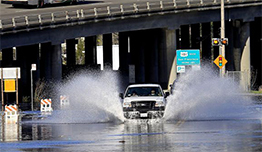 Information on the Marin County Sea Level Rise Planning and Adaptation Program.